Three Days in Spain - a short Letter, October 2011. My friend Hervé from Paris (who visited me about the same time last year) proposed a brief trip this year to Northern Spain, just south of the Pyrenees. It's only 3-4 hours away. So we got organised, and he found accommodation through Couchsurfers, which he had used in July during a visit to the United States. Firstly, the tunnel-route we wanted to go turned out to be closed, so we had to go back a bit and take a longer route. When we got into Spain it started raining really hard (the first rain since mid-July) so we had a rather non-visual passage through the Pyrenees. We then descended towards the village where Edmundo, whom Hervé had found through couchsurfing.org awaited us with a nice bright log fire. He is a very New Age person - you know the kind, without any kind of core, all peace and love and incense, seems to exist only to be in company with people and to talk incessantly. The first thing he does when he comes in is turn on his laptop to play bad music. But he is a nice chap. He winters in Thailand, and his Spanish house is rather beautiful : a bit bigger than mine, vertical in feeling, but just two floors and a mezzanine. Goose-feather duvet and all modern conveniences - except internet connection which he has at his parents' house about 20 metres away, and whose signal often reached his laptop. His father runs a big chicken-farm: birds barn-bred for Barcelona supermarkets. Also couchsurfing at his house was a very pleasant and intelligent couple, a tall Pole and a very petite and gamine Slovak whom I thought was adorable - and their beautiful half-collie half-huskyish dog - even more adorable. 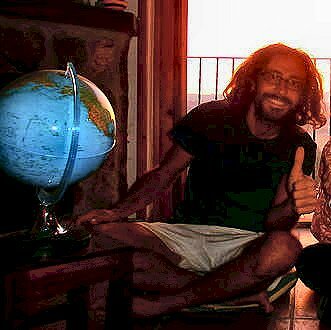 They were literally travelling the world on almost no money - which became no money at all after they were robbed in Barcelona. They found hitch-hiking easy with the dog (of course). They were hoping to end up in New Zealand via India! 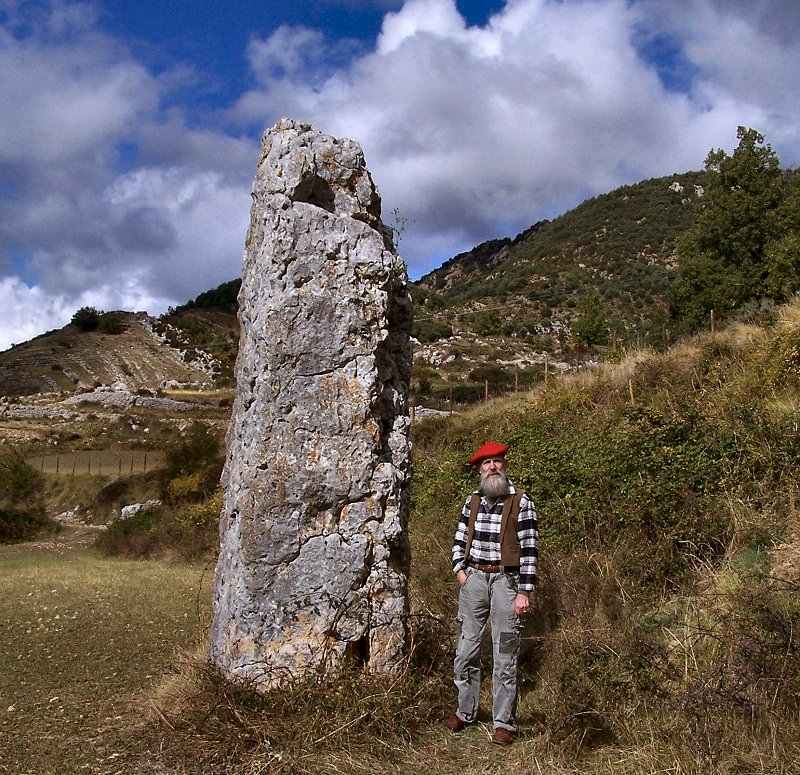 The next day we made another similar trip up a Pyrenean valley with lots of tunnels, views, and autumnal beauty. The third day it rained again and we left Edmundo to head Westwards, ending up in a rather good roadside Hostal (Hotel). We went in the evening to eat in Huesca, a town which has tripled if not quadrupled in size since I was in this part of Spain over 30 years ago, shortly after the death of the dictator permitted me to go looking for 'sinful sculptures' or 'obscenas' on Romanesque churches. Everywhere we went there was 'New Build' (of fairly high quality) and amazing new roads. It is perfectly obvious how Spain has nearly bankrupted itself, because trillions upon trillions of euros have been spent on splendid motorways and road-improvements - far more than in France. Formerly empty old villages have been surrounded by new developments, and town centres have been completely restored or rebuilt, often very beautifully. On our last day we went to look at a couple of interesting churches (which I had seen over 30 years ago), and then decided that we would head back into France via Jaca, a town which I had dismal memories of in the past (gloomy, no decent hotels). Now of course it is a buzzing town at least twice the size, full of hotels (some of them very expensive) and a gigantic police station. This town was always a gateway, and was on one of the main trans-Pyrenean pilgrimage-roads to Santiago de Compostela, and therefore one of the chief routes of the Western French school of sculpture and church-design in the 12th century - when, believe it or not, a million pilgrims a year walked or rode or sailed to the alleged burial place of St James the Greater. To the West of Jaca right to the Atlantic and Northern Portugal are scores of churches with interesting and/or high-quality sculptures, while to the East, there is very little except in cloisters, due to a less exuberant style coming from Catalonia, Provence and Italy. Click here to see some of the photographs I took. So we were heading for the border, and were about 15 miles from it when we were passed by a 4 x 4 labelled POLICÍA de TRÁFICO, who waved us down, then jumped out, their armaments and other unpleasant items bouncing on their bull-fighting hips, and informed us curtly if not arrogantly that we had committed an infraction because I (passenger) had not attached my seat-belt, and that we had to pay them 100 euros on the spot. A credit-card was not acceptable. I tend to freak out at the sight of a gun, especially when accompanied by a uniform. My childhood was illustrated by pictures of the SS and American Westerns and B-movies, so anything more threatening than a bus-conductor (do they still exist ?) gives me the jitters. The notorious RUC (and their extremely mild and courteous successor, the Northern Ireland Police Authority) were/are the only police force in the British Isles to carry guns, and "in the bad old days" one tended not to ask them for directions or any kind of succour. Hervé suggested that the demand for immediate payment was not strictly proper and that they could legally ask for our documents, take our details, and, admonishing us in a fatherly way, advise us in a sane and reasonable manner to drive with seat-belts attached at least as far as the border. But, on the contrary, they told us in threatening tones that if we declined to pay on the spot they would immobilise or impound our vehicle. (This is of course not permitted by the European Convention on Human Rights.) I produced a 100-euro note, tore it in half and gave one half to each policeman. This caused outrage. They started shouting and pushing me. At this point I (whose teenage reading had included anti-fascist literature and the writings of George Orwell amongst other 'insulters of authority') said ¡Fascistas! ¡Fascistas! The elder policeman (whose name - Miguel Poncho alias B83050Y - Hervé found out later by listening carefully to the plethora of phone-calls to higher and parallel authorities) while the younger of the two (no. de identificación L24527K) waved his stick or whip or whatever it is, and struck me (lightly) on the legs. They then pressed me against their 4x4 (as I continued my chant), made threatening gestures, kneed me in the buttocks, pinned my hands behind my back and tightly handcuffed them, bundled me very roughly in the rear of the vehicle, told Hervé to follow them (they had our passports and Hervé's licence etc.) back to Jaca. They drove well over the speed limit without the blue lights flashing - a very minor offence. This all sounds just like what happens daily in the southern states of the USA (especially if you are the wrong colour), but Spain, unlike the USA, has signed the European Convention on Human Rights, abides by the decisions of the European Court of Human Rights, and incorporated them into national law. In Jaca we went into the little Traffic Police annexe to the amazingly large Guardia Civil HQ, where I was forced to sit, rather painfully handcuffed, for nearly an hour while they prepared the documentation for charging me with Aggression towards the Police and Insult to Authority. Insult not against the State, the King, or the Police, but Authority. I thought that it was a democratic right to at least question authority. Neither in Ireland nor in France is it an offence to insult the President outside his or her presence. It would not be even a minor misdemeanour in the United Kingdom to refer to the Head of State, Her Britannic Majesty, as a cultureless frump. And in that kingdom the abovementioned Northern Ireland police take frequent abuse - such as Fascist Pig - in their stride, even with a weak smile, partly because everyone knows they were involved in 'extra-legal' killings, beatings and false imprisonment long before the British army practised them as a matter of policy in Northern Ireland. I am, moreover, proud to be the citizen of the only country in Europe, apart from Switzerland, whose constitution forbids it to join NATO or any other war-cartel. A couple of hours later the forms had been drawn up and I was given my (European) legal rights. These included the rights to have the Irish consul informed (I don't think there is one in Spain, at least not west of Barcelona and north of Madrid), to appoint a lawyer or take one from the court pool, and to be taken to hospital for examination. I ticked YES to these three, and NO to making a statement there and then. I was handed the torn €100 note and instructed to stick the two pieces back together. carried by the Lictor in legal processions in Ancient Rome. 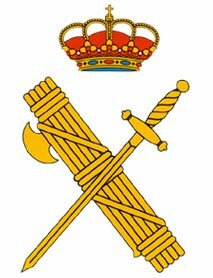 So it is not strictly an insult to call the Guardia Civil fascists. Hervé speaks Spanish quite well. His English is pretty good, though we always speak French together. He also has very good hearing. So he gave me a commentary on what was happening through the (mostly open) door into the two tiny rooms occupied by the traffic police. Because I had been charged with an offence, a fax had been sent to the local court, and the chief of the traffic division had been called from his afternoon off. The latter realised not just that I had been improperly charged and that the two testosterone-filled fools had behaved irregularly, but that because the local court had been duly informed, they would have to transfer me to a cell (via the Criminal Police, I suppose) overnight if not for the weekend (since it was Friday) while they arranged for a doctor to examine me, a solicitor to be found, and the Irish consul called. The whole thing had, he realised, got completely out of hand. Maybe these two cops had been demoted for beating a drunk or a doped adolescent senseless - for the Traffic Division is where bad cops go to eat their hearts out. Because of their unprofessional behaviour we all had to go before a magistrate to 'regularise' (i.e. save) the situation - and save their face. The magistrate would not be on duty until 7 pm. So Hervé and I sat in the tiny waiting-room (room for 2 chairs and a table). No coffee was offered, but we were allowed to use the WC. On the walls were Monty-Pythonesque propaganda posters. One of these told a gullible public that a Traffic Cop wasn't just a cop, but a mechanic who would help you in a break-down. The other claimed that a Traffic Cop wasn't just a cop, but a psychologist, alert to the mental problems of anyone they came across. The truth is that Traffic Cops are likely to be demoted admirers of the rebel mass-murderer General Mola, celebrated by Franco's yes-men in countless avenidas, etc. Traffic cops came and went. There was much macho behaviour behind closed doors. The chief of the Traffic Division was obviously very pissed off, but didn't say ¡Hola! (as other comers and goers did), and actually didn't speak to us at all until we were all assembled, around 7.30 pm, in the courthouse. Then he wanted only to know how long it would take us to drive home to France! It was well past eight when the magistrate had all her documents ready. The police, of course, had not admitted any error, nor creating a storm in a teacup - they had simply made a new charge of an Offence against Public Order. There was no way a magistrate would sustain that charge, especially after a psychiatric report on a 70 year-old dissident poet and well-known hysteric... But the police had to save face. They couldn't just let us go. I was therefore issued with a summons to appear the following week at the same court, where, of course, I could ask for an adjournment and Hervé (who lives in Paris) to be called as an essential witness, plus a translator (no English translator available in Jaca), and a court referral to a psychologist - though not for the police to undergo psychiatric examination and discharge on medical grounds (e.g. testosterone poisoning). Naturally, all concerned would be extremely surprised if I showed up. And so, issued with the summons, we were allowed to leave around 9 pm. I had been 'detained' for 6 hours for not wearing a seat-belt, which turned into Aggression Against the Police, which turned into Insult to Authority, which turned into an Offence against Public Order. Now, had I had an address in Spain, none of this would have happened. I could have chosen to be billed for the offence, and could then have gone on to dispute it. But because I did not have an address in Spain, this whole theatre of the absurd took place. AND SPAIN IS IN THE EU !!! It takes trillions of euros from Brussels, wastes them on prestige road-building (and a property boom) and then treats passing foreigners like this ! It's not as if we had been drunk and disorderly on Ibiza. Which is why I will be making a formal complaint to the Spanish Ambassador in Dublin. Meanwhile it had started to rain and we had a grim journey in the dark across the Pyrenees and into France. Hervé drove me to my car, of course, and then headed back to his parents' house (where his cat, Corentin, is holidaying). I arrived back at Saint-Antonin at 02.30 on Saturday morning. So - in the end, my accusation of ¡Fascistas! was justified - although Spanish 'fascists' called their variety of fascism The Falange or Phalanx, derived from the Latin word for finger. The two policemen (the humourless and bullying B83050Y and L24527K from Unit 2205) would probably have beaten me up severely and kept me in gaol prior to deportation under the Franco dictatorship, about whose 'Disappeared' we never hear. Fortunately, they had to 'go by the book' and found that they had overreacted to my (not so unlikely or even unreasonable) reaction. They should not, in fact, impose spot fines on foreigners so close to the border, but simply give a warning. But they seem not to have come to terms with their Falangist past, which, after all, was over 30 years ago. Like many unpleasant dictators, Franco died in his bed. There was no revolution. There was no public apology by any of his cronies, his generals, his secret police chiefs, his financial supporters (the Spanish banks), his foreign collaborators including the USA, NATO and the tourist industry who wooed him, nor by the king whom he had 'groomed' as his successor. The Church whose appalling practices he piously encouraged made sure, for its own immoral security, that no denunciation of the Caudillo (best translated as war-lord-in-chief) would occur. Opus Dei, the most fascist of all Catholic organisations, remains a sinister Francoist fiefdom. Because there was no revolution, there was no 'truth and reconciliation' in either Spain or Portugal. A general amnesty to Falangist murderers was given, and sixty years of violence and tribulation were simply swept under the carpet - including the regular sale by the Catholic church (aided and abetted by Nursing Sisters and, of course, right-wing Catholic doctors of the kind who still oppose abortion) of the new-born babies of the poor ("Sorry dear, your baby died...") to the childless rich - right up to 1990. This minor detail of the régime has only just surfaced in Spain, long after the revelations of sexual and physical abuse by priests, 'brothers' and nuns came to light elsewhere in the world - notably in the Irish Republic - which was so sympathetic to Franco that it sent an official brigade in support of the terrorist-insurrectionist general of the Canary Islands who initiated and won Spain's well-publicised civil war, ruling with an iron fist until a death even more peaceful than Stalin's. 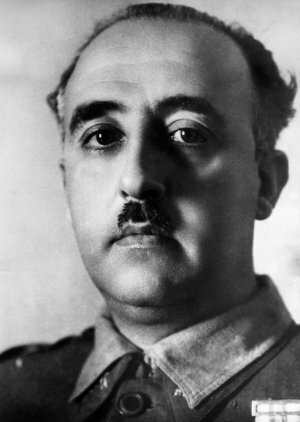 Generalísimo Francisco Franco y Bahamonde in 1944. I have had similar stoppings by French police, and when I said I refused to pay the fine because the forced wearing of seat-belts is not just an infringement of personal liberty, but has no valid statistical evidence to back it, they simply let me go after a nice little discussion on the finer points of police behaviour towards 'people of no consequence', the rights of the individual (e.g. not to wear seatbelts when seatbelts can make them tense or even half-strangle them), and other legal-metaphysical subjects. The French of the south-west love a chat, and the police would far rather embark on a metaphysical conversation than actually arrest someone of No Importance. In this respect they are to be admired, praised and set up as an example to all police forces. At the beginning of this retrospectively-amusing little episode, Hervé was worried that they might go the whole hog and search the car - and us - because we both had tiny amounts of 'grass' with us. 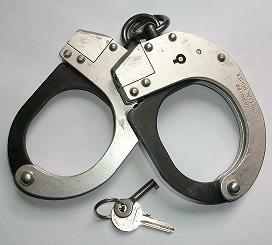 But in fact that is not a crime in Spain - though I guess the police could make it one in a trice. The whole world knows about the summary killings by Spanish police, the mass graves, and especially the death of the celebrated (if over-rated) poet and macho-man-loving playwright García Lorca. or demonstrators of their choosing ! There is no way that I will ever return to Spain. I will not use my return air-ticket to Alicante in February. a Anthony Weir como autor responsable de una falta contra el orden público ya definida en virtud de lo que antecede a la pena de 25 días de multa con cuota dia de 8 euros, establieciendo paro el caso de impago de la misma y una vez hecha excusión de sus bienes un día de arresto sustiturio en Centro Penitenciario por cada dos cuotas dejadas de abonar, condenado al pago de las costas causadas. I have heard nothing from the Spanish Embassy in Dublin. 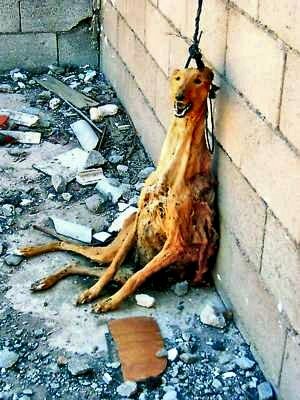 Spanish Cruelty to Gentle Dogs.